The latest in white knuckle funfair thrill rides, you can be accelerated, twisted, turned upside down, round and round, fun for all ages. Of course for the more sedate amongst us, there are always the ferris wheel and carousel rides. No matter what fairground ride and attractions you are looking for, we can help to provide you with the greatest funfair. From a stick of candy floss to a helter skelter, to a complete funfair, we can plan, supply, install and operate any size of funfair event. Be it a child's birthday party, or a major event for a multinational company with thousands of attendees. •£10 Million Public Liability Insurance. •The Most Comprehensive Safety Documentation In The •Industry. •Clean Up Service After The Event. The latest in white knuckle funfair thrill rides, you can be accelerated, twisted, turned upside down, round and round, fun for all ages. Of course for the more sedate amongst us, there are always the ferris wheel and carousel rides. No matter what fairground ride and attractions you are looking for, we can help. From a stick of candy floss to a helter skelter, to complete funfair we can plan, supply, install and operate any size of funfair event. Be it a child's birthday party, or a major event for a multinational company with thousands of attendees. •Annual Inspection Certificates For All Rides And Attractions. Funfair Traditional And Thrill Rides For Hire. Dodgems are easily the most popular fairground ride to hire. Beloved by all ages, we offer a range of tracks. In both traditional and ultra modern version. Read our top tips for hiring dodgem cars. Dodgems are easily the most popular fairground ride to hire. Beloved by all ages, we offer a range of tracks. In both traditional and ultra modern version. An oldie, but definitely a goody. The ferris wheel has a timeless appeal that means its always high on the desirability list. The Freakout is one of the most up to date white knuckle rides available for funfairs. Tall big and definitely fast. This one is not for the fainthearted adding a real buzz to any event. Another traditional ride that is still going strong on the fairground. A Waltzer is still high on the fun factor list when planning an event. The Miami Trip. A good choice when your guests like a fast fair ride. Due to the small footprint this can be used where many other rides won’t fit. 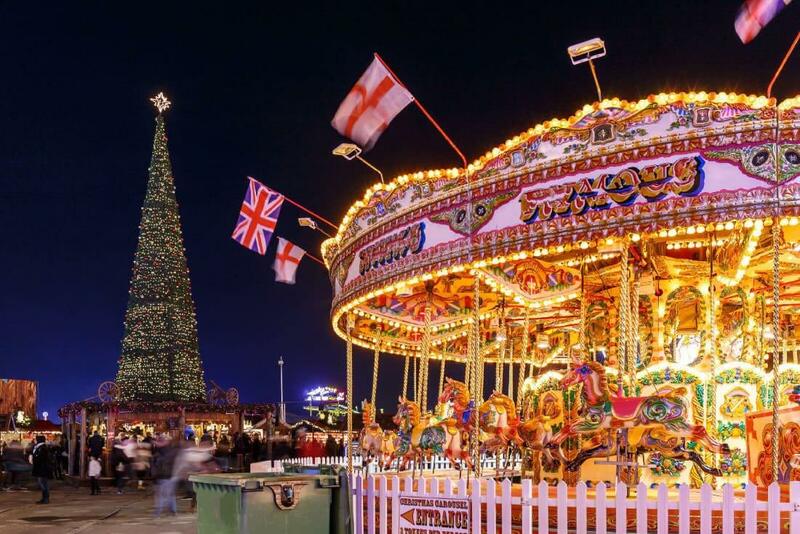 The Carousel, or “Galloping Horses” is a slightly more sedate ride than some of our othes. If its something visual you desire then this has no equal. Another fairground ride which is fast and fun. This one is also tame enough for some of the younger children to enjoy. This is a modern take on a traditional favourite. The flying chairs have been updated for the 21st century . Turning a vintage favourite into a modern thrill ride. Another older ride that is still going strong on the fairground. Due mainly to its enduring popularity. Centripetal force sticks you to the cage as it rotates at high speed. Another Victorian era ride that is still being hired on a regular basis. Swing boats, or Shuggy Boats as they are know in the North East are still a fun attraction. This is only intended as a short guide to some of the most popular fairground rides for hire. You can have any ride on request. This is only intended as a short guide to some of the most popular fairground rides for hire. You can have any ride currently active on request. Planning A Funfair Event With Adult Rides. 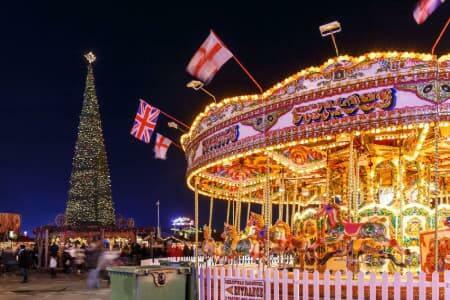 We have a massive amount of experience in planning funfairs for private clients. Many just choose a selection of rides from a list and think they will work fine, which sometimes they do. We prefer to investigate just what and who an event is for before making recommendations. This allows us to take into account the correct selection of rides for the ages and numbers of guests present. Its of little use to specify all high speed white knuckle rides if 90% of your guests are under the age of 10 or over the age of 60. Similarly some events lend themselves more readily to the vintage fairground attractions that are available. A selection of sidestalls, and things like candy floss and hot dogs may also be needed. This is to produce a nicely balanced funfair that is enjoyable for everyone. Our experience allows us to advise on just what will and wont work in any given scenario. The single most popular ride is the dodgems, some specialist advice is available to help you understand the choices you have. You can have a selection of high quality attractions that carry all of the correct annual ADIPS certificates. These are a legal requirement when operating fairground rides in the U.K. We also provide the most comprehensive safety documentation in the industry. Our public liability insurance cover is £10 million to ensure peace of mind for you in the highly unlikely event of anything going wrong. The Health and Safety Executive estimate that you are far more likely to be injured on the way to a fair, than you are once you get there. Like most industries there are some excellent operators and some real cowboys around. Providing you with private funfairs, is a specialised area that we excel in. Why take the chance of hiring a jack of all trades, that operates fairground attractions at corporate events as as sideline to his normal funfair business. If you are a corporate client what would the effect be of hiring shoddily presented attractions or rides breaking down at your event. Imagine the harm to your companies brand. This is definitely not acceptable at corporate events, but equally how would you feel at your wedding or birthday party if the attractions didn't turn up, because the operator suddenly decided that good weather meant he would rather be at a traditional funfair charging the public? We are totally dedicated to the private hire market,. We do not attend traditional funfairs coming to private events as a sideline, our only business is providing fun, safe attractions to private clients. You wouldn't hire a butcher to bake a loaf of bread, so why take the risk of hiring a bog standard funfair guy to provide a specialised corporate event or your wedding with attractions? We have experience at branding many of our attractions for sales promotions or exhibitions. Most rides and games are suitable for this and we can help with the design of any package of branding requirements. We offer a hire service throughout the U.K. Including Scotland, London, The Midlands, The North East, Yorkshire, Lancashire. For all the fairground favourites such as helter skelters, waltzers, dodgems, ferris wheel, hoopla, hook a duck, swing boats, carousels, catering, funfair games and children’s funfair rides. Dodgems are easily the most popular fairground ride to hire. Beloved by all ages, we offer a range of tracks. The Freakout is one of the most up to date white knuckle rides available for funfairs. Tall big and definitely fast. The Carousel, or “Galloping Horses” is a slightly more sedate ride than some of our othes. Another fairground ride which is fast and fun, the Cyclone Twister. We offer a full range of childrens rides for hire. We also offer a full range of funfair games for hire, from traditional Victorian games to the latest in virtual reality entertainment. We can source and supply any of the funfair rides currently operating in the U.K., this is only a tiny selection of what is available.